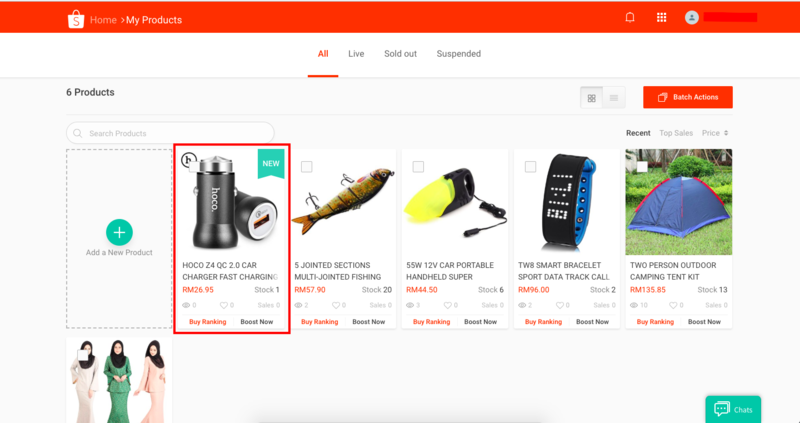 I have received a lot of questions regarding how to dropshipping in Shopee . 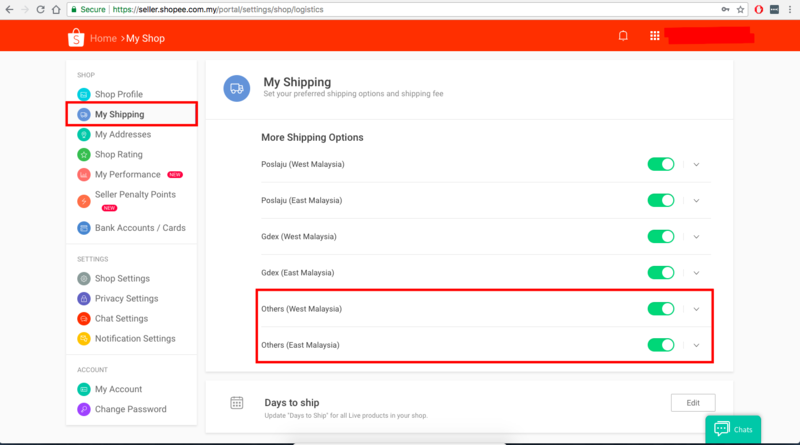 If you are in Malaysia YES you can dropship to Shopee easily! So how to dropship and sell in SHOPEE? No need for company registration. Any individual can start selling on Shopee. Sign up as a seller in Shopee is FREE. There is no sales commission in Shopee. You make more profit. Dropship on Shopee is FREE. 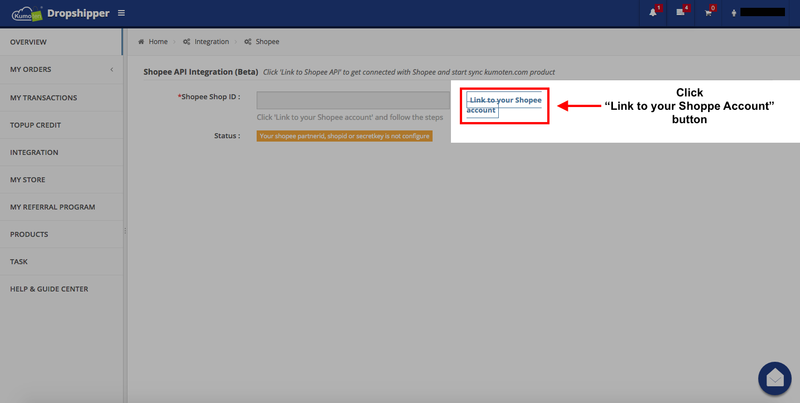 Easy one-click integration and start Select and Sync products to your Shopee store instantly. 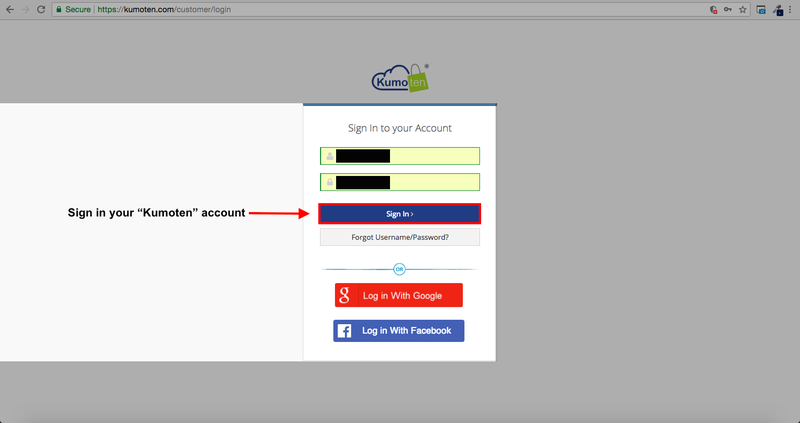 #2 You need to have a KUMOTEN account which is 100% FREE ! 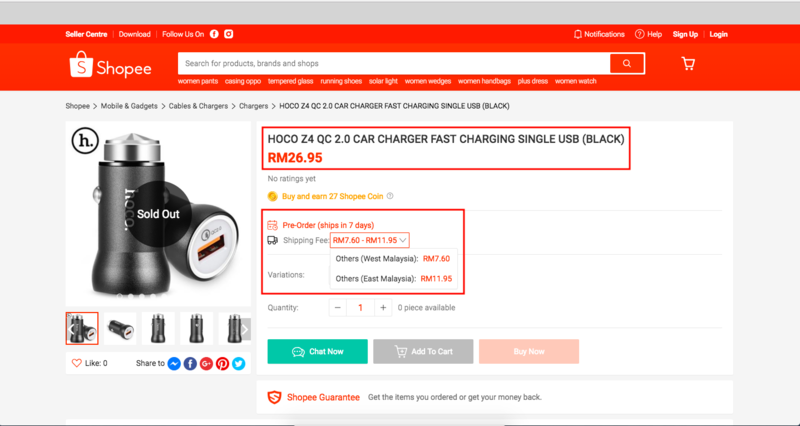 How Does Dropshipping Works in Shopee ? So, Kumoten will basically serve as the source of the products. There are more than 50,000 SKUs with Kumoten that you can choose from. Although it is not as huge as Aliexpress , but it is good enough to try the products that you want to sell to the market. If it sells good, then maybe you can buy some and sell it out . So , basically Kumoten”s price is the cost, and how much you want to sell is up to you . For example, if you want to set up a T-Shirt online business. What you do is , look for the T-shirt that you want to sell in Kumoten , and sync it to your Shopee seller account, i will show you how to do the syn thing later in this post. And the T-shirt will automatically appear on your shopee store. You get to set the price that you want to sell. So what happens when someone buys that shirt? When someone buys that shirt, you will get a notification from Shopee , and what you do is , buy that product from Kumoten . Yes, you need to buy the t-shirt from Kumoten . And fill in all the details, except the name and address you put your CUSTOMER”s detail instead of your own. This is so that the seller will directly send the T-shirt to your customer. And you earn the money between the cost (KUMOTEN) and your own selling price in Shopee . 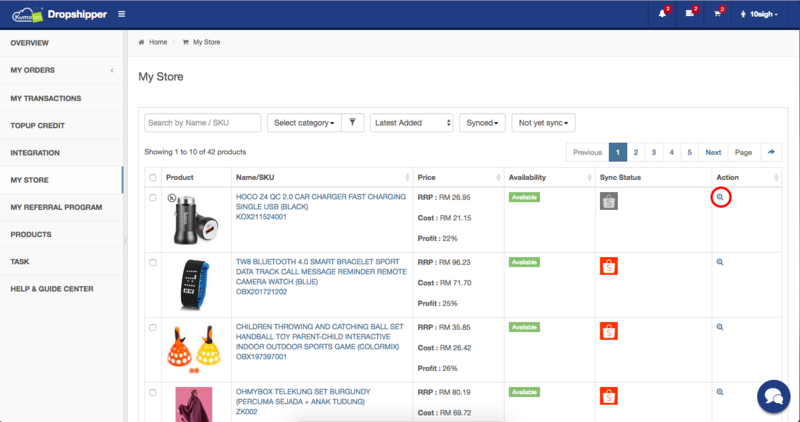 NOW LET”S LOOK AT HOW YOU CAN SYNC YOUR SHOPEE ACCOUNT WITH KUMOTEN FOR DROPSHIPPING. 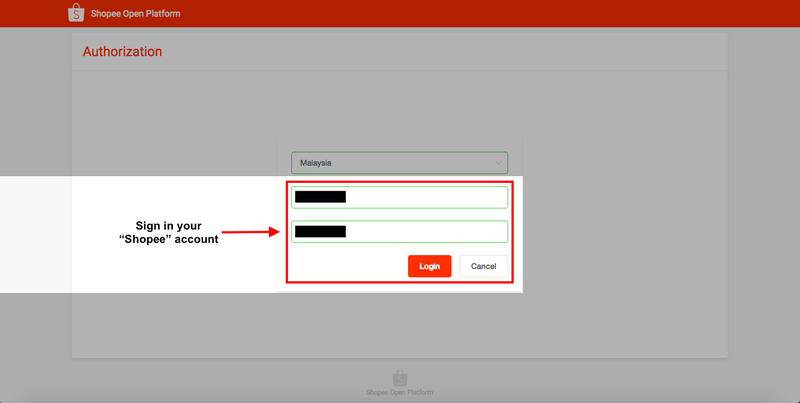 How To Integrate Your Kumoten And Shopee Account. 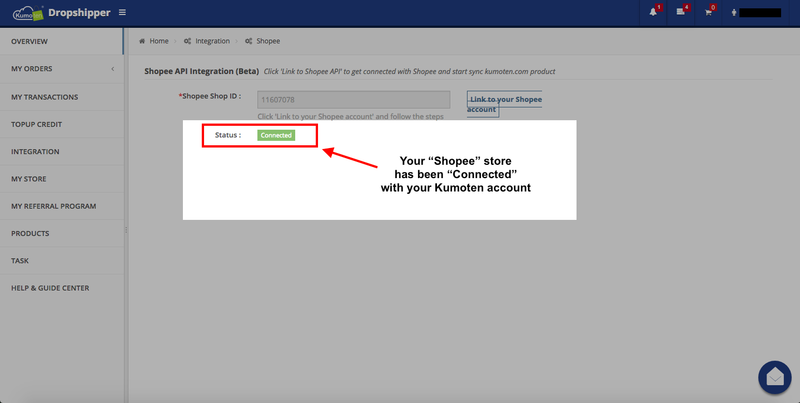 4 steps to integrate your Kumoten and Shopee Account!! Step 1. Sign in your “Kumoten” Account. Step 2. 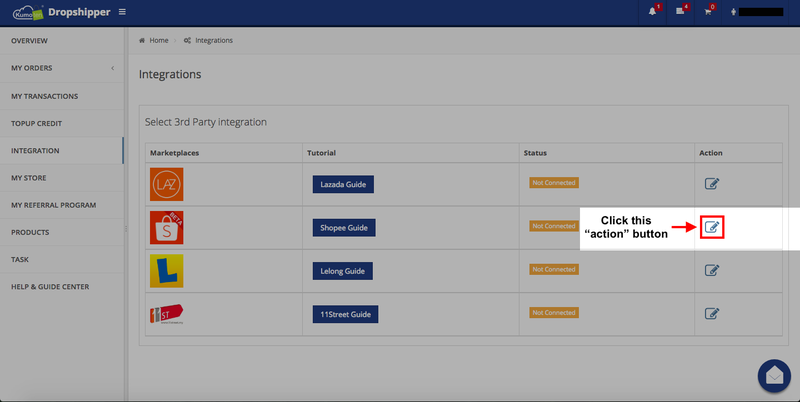 From your Dashboard, at the left panel click “INTEGRATION” button. Step 3. Click the “Action Button”. Step 4. Fill up the details. I. Click “Link to your Shopee account” and Sign In your Shopee account to complete the process. II. 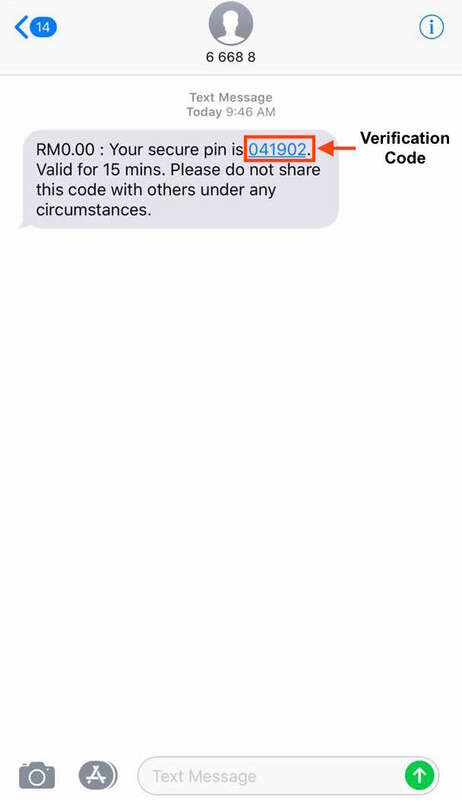 Please verify your identity by entering the OTP sent to your phone. 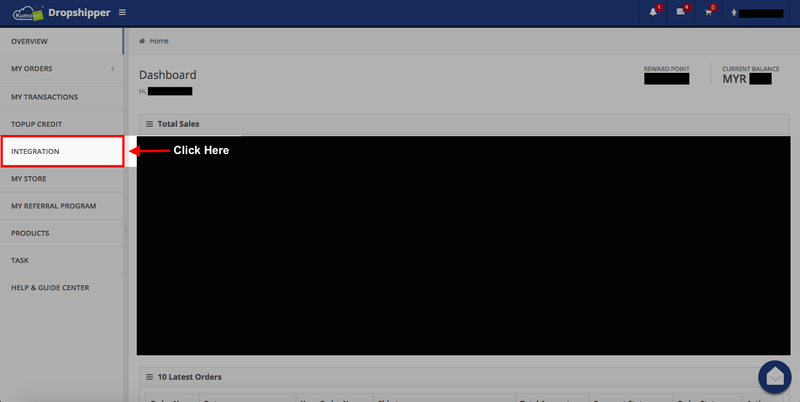 And then, Click “Verify” to complete the process. III. 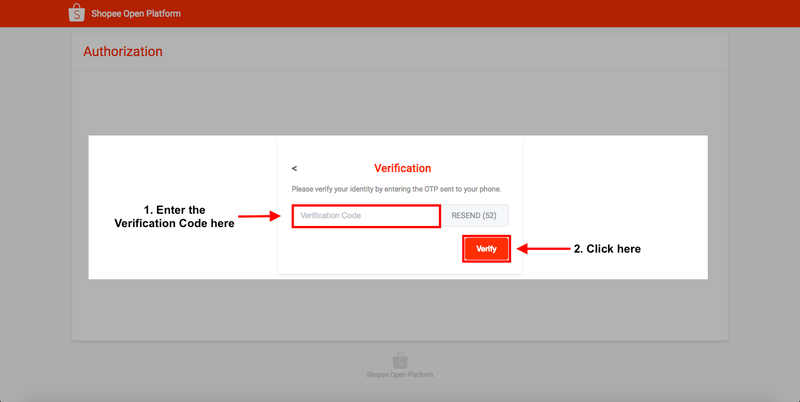 This is the example for the “Verification Code”, just copy and paste the code to Shopee “Verification Code” box. Step 5. Click “Yes” for the Authorization. 1.Your “Shopee” store has been “Connected” with your Kumoten account!! Start SYNC more products now!!! Something went wrong! Logistic channel ( id: 29910 ) not in shop logistic list! Go to your seller shopee > My Shop > My Shipping. 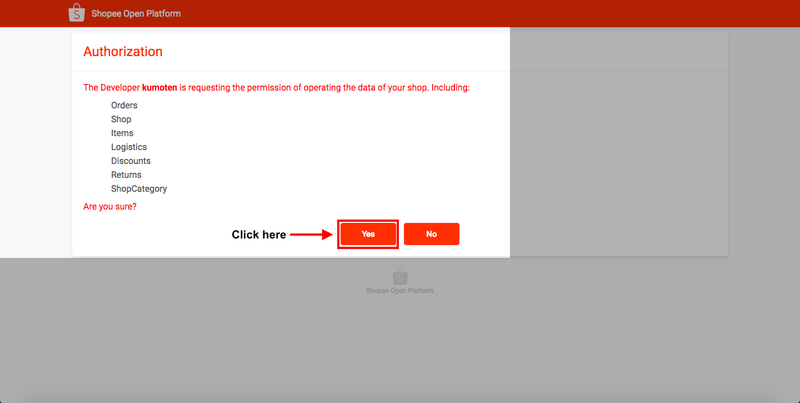 Enable “Others” shipping option. 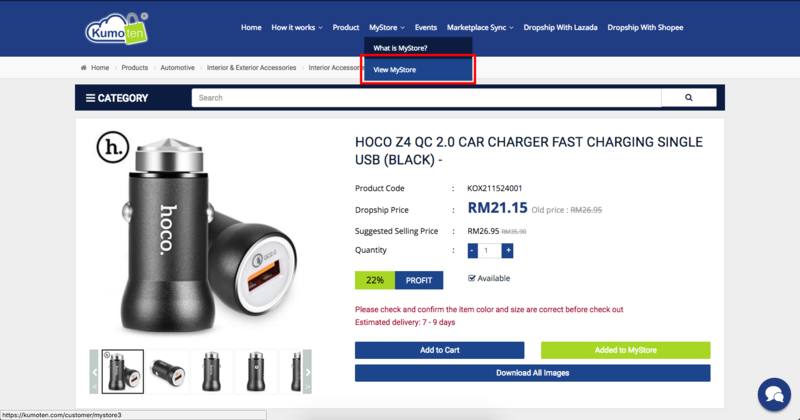 Step 2: Select the product from mystore click the “Action” button, and click “Sync to Lazada” button it will come out another new page. 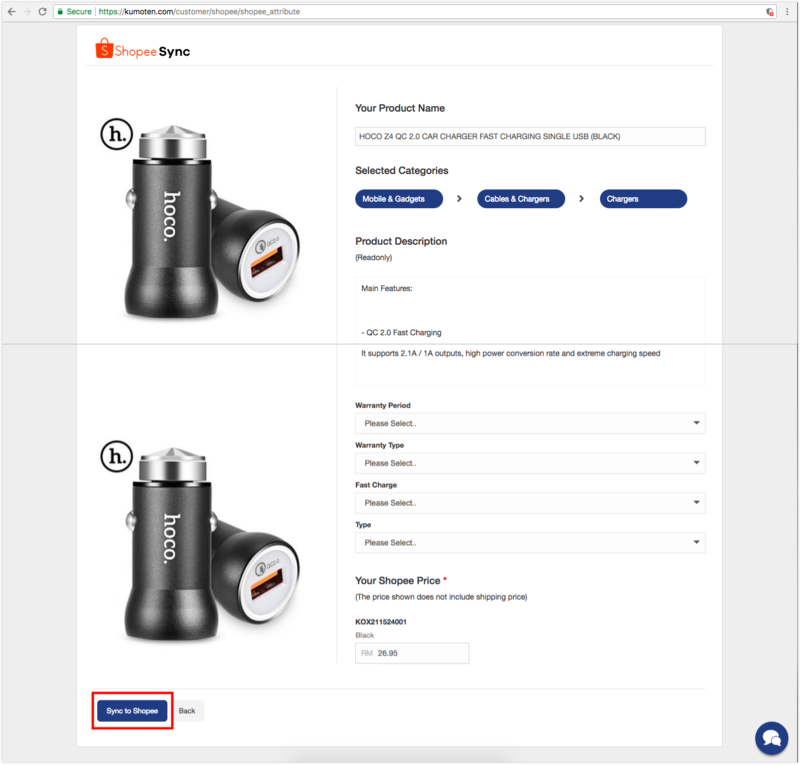 Step 3: Click “Sync to Shopee” button. Step 4 : Select Shopee Category. 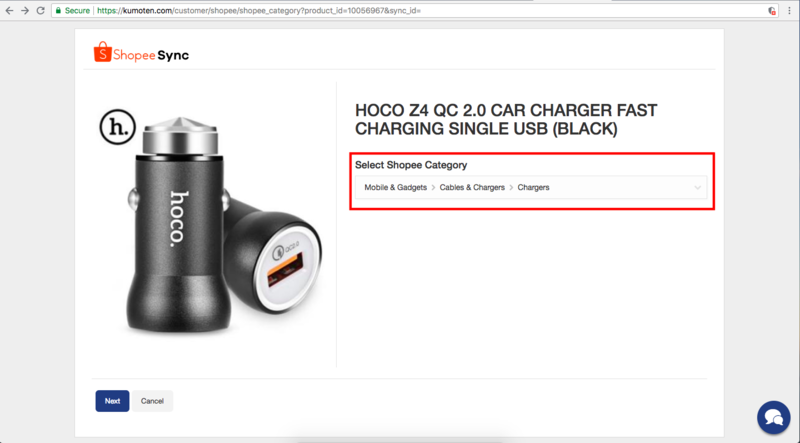 Step 5: Fill up and click “Sync to Shopee“. Go to your Shopee Seller Centre now! Well Done! 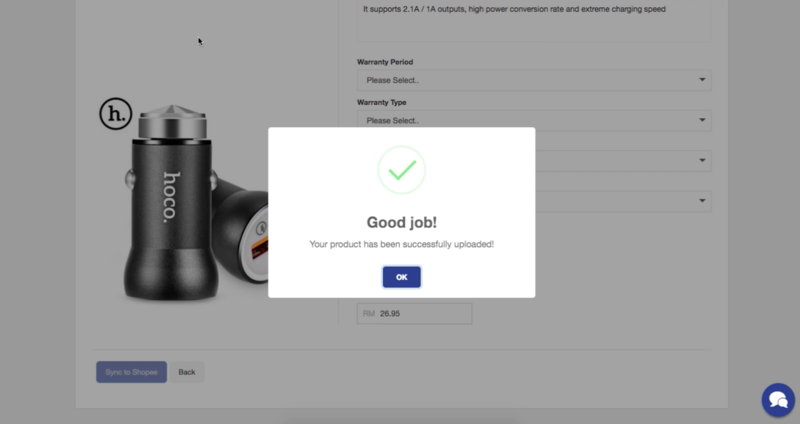 The product has been uploaded to your Shopee!! And you are done ! 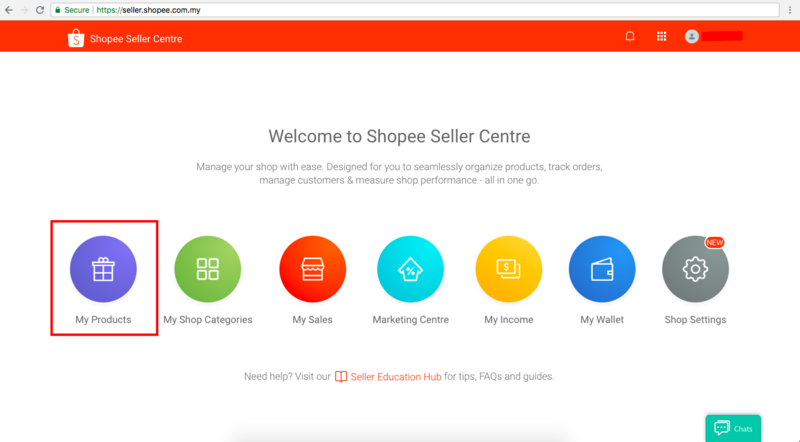 You can now start a dropshipping business and sell in Shopee ! Next Can Dropshipping Really Earn Money ? 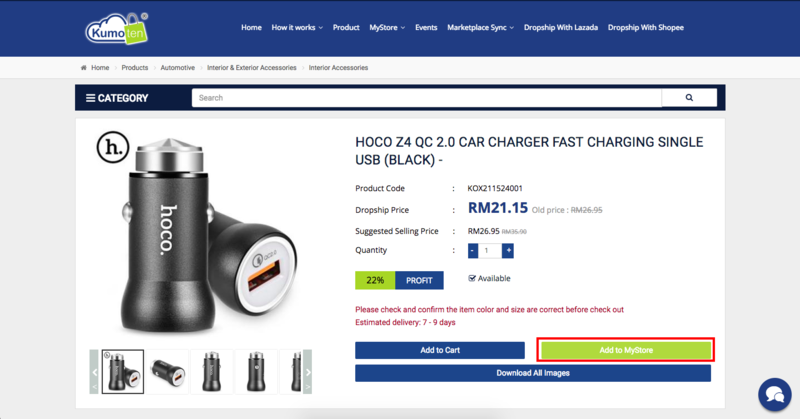 How about put if the buyer choose COD? How can I have my part in his or her payment? I have checked with shopee , this article show you how to do it.cheers..
how about the tracking number? I do sign up for 5kg free shipping with shopee then how can i do this dropship? how about the tracking number? I do sign up for the 5kg free shipping with shopee then how can i dropship with kumoten? The shipping cost with kumoten are to damn high..
Can i do this in philippines? Hi, if buyer already paid to my shoppe account, but the product already sold out in komuten store. What should I do, should I repay back to my customer or I can order from outside store & I sent to my customer. Did I get my money back?